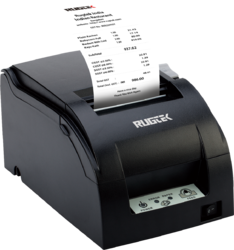 The Rugtek Receipt Thermal printers offers different purpose printers that are classified under Portal and Non-Portable version, offering a reliable printing solution. 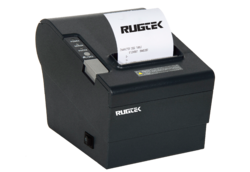 The Rugtek RP 327 Economical 3 inch reliable receipt thermal printer is a high performance model with printing speed upto 250mm/S. 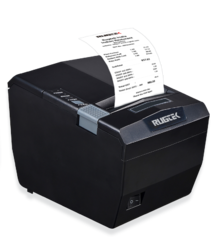 As a receipt and information printer, its speedy printing satisfies crowded check-out line and promotional activities in the peak hours and are widely used in Food & beverage,Consumer durables,Home & personal care,Pharmaceuticals, Retail labels, Others (labels used on apparels & textiles, industrial lubricant & paints, and gifts). 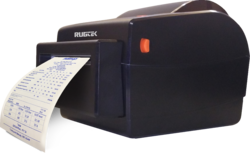 Receipt paper/Multiplex Ticketing (Black Mask Sensor) / Linerless Label Printing/ Paper out detection function (Optional.